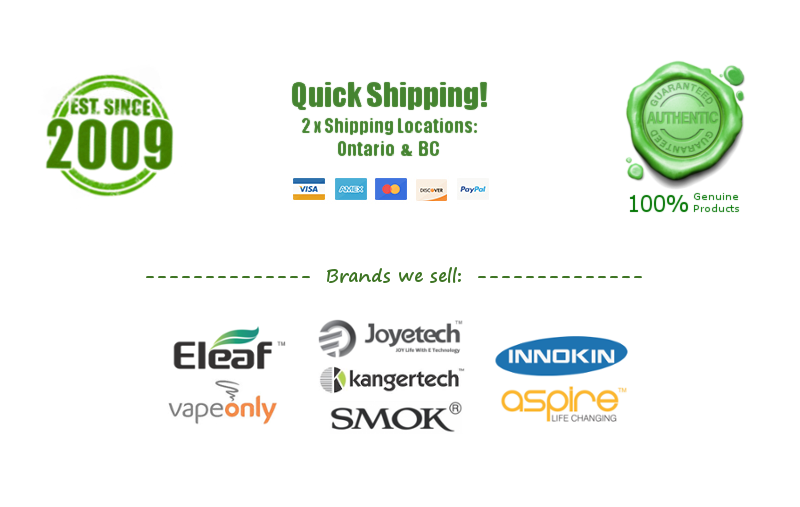 Smok eGo eMax VV 900mah - $12.00 : NorthernVapor.com, Canada's choice for vapor & electronic cigarette supplies! 1. It comes with 510/eGo threading and can work with 510 / eGo atomizers. 3. Volatage adjustable from 3.2V to 4.8V and wattage adjustable from 4.0W to 12W. 4. Price is for one (1) eMax VV/VW battery, and pictures are just for display purposes. All chargers and tanks are sold separately. DOA (Dead On Arrival) ONLY! * 5 click power on / off, LED light up orderly. * Click the button 3 times to switch different modes. 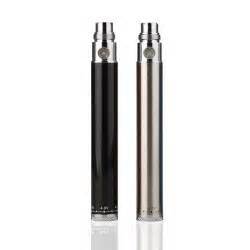 * White LED-variable voltage mode; Blue LED-variable wattage mode. * 30% low power warning: VV mode-white+red LED; VW mode-bue+red LED. VV / VW output: Voltage can be adjusted from 3.2V to 4.8V with 0.1V degree and wattage from 4W to 12W with 0.5W degree. You can choose the voltage / wattage by spinning the knob at the bottom. We suggest you to start with a low voltage / wattage and increase the voltage / wattage gradually until you find the right voltage / wattage for your atomizer/cartomizer. 5-Click protection: Generally, the battery is shipped in the off position. In off position, it will not function even when pressing the button. To turn on battery, press manual button 5 times within 1.5 seconds. You will see white LED flash. To turn off battery, press manual button 5 times within 1.5 second as well, the white LED will flash! "5-click protection" can protect the battery from being activated when you do not want or do not use it. No more firing in your pocket! Safety Cutoff / Atomizer protection: If the button is pressed for 10 seconds, the battery will cutoff until the button is released. How to adjust the output voltage/ wattage? There are 16 grids on the knob at the bottom, and each represents 0.1V / 0.5W. Spin the knob in a clockwise direction to increase output voltage / wattage and spin the knob in anti-clockwise direction to decrease output voltage / wattage. High output voltage /wattage gives more vapor. You can adjust the output voltage / wattage so easily and enjoy the whole vapor time.